We’ve had a lot of questions via the internet about where to get good zines. It’s kind of hard to say “Everywhere!” without feeling a little unhelpful, so we’re going to stop telling people that zines are all around them and try to give a little direction. We’ll be posting here every few weeks or so with reading suggestions from trusted sources, plus the information needed to get the zine for yourself. This first rec comes from LAZF organizer Bianca Barragan. Where I got it: Gifted from a friend! Why I recommend it: Before I get going on this, I just have to advise you to talk about zines when you meet new people. Like, right off the bat. If someone seems interesting, tell them you like zines because you will eventually get people giving you awesome things to read. 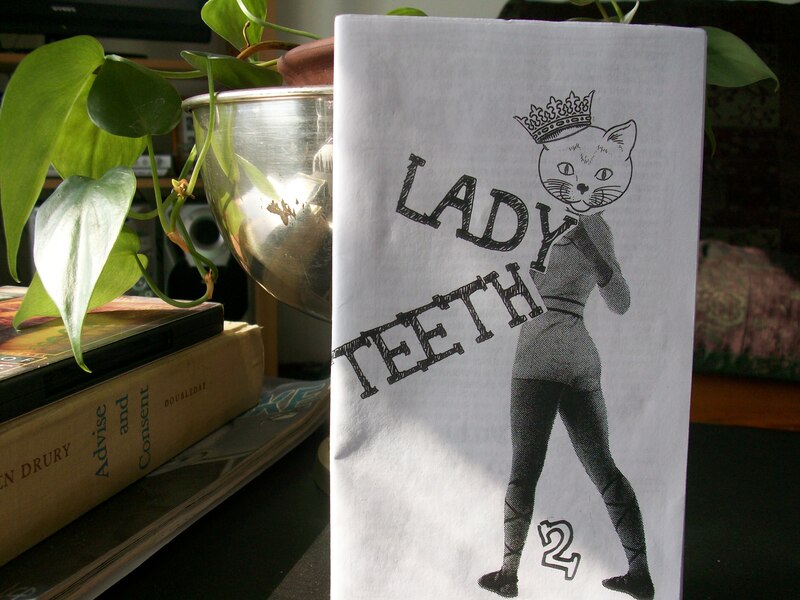 Case in point: this zine, gifted to me by Brodie Foster Hubbard of Fair Dig zine and Shakeytown Radio Hour. 37 pages fly by as Taryn talks about self-care, attending zine fests, keeping friends, getting healthy (mentally, physically), music, food, and a handful of other topics. By the time I reached the back cover, I felt like she and I had gone on a really solid road trip together because we’d had such an in-depth, varied conversation. I have always been a huge fan of perzines because I can’t imagine myself spilling intimate words onto pages and then sending those pages out for other people to see. I admire deeply the brave people who can do that repeatedly and always keep it engaging. For this reason (and others, I’m sure), Taryn Hipp is a total badass. < Great trades from Claremont Zinefest!